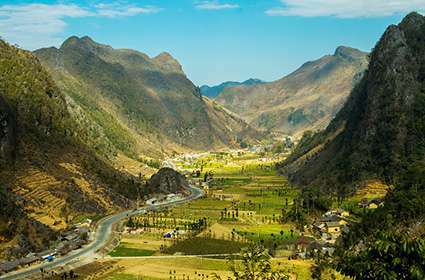 This tour offers off the beaten track adventures of Vietnam's stunning north. 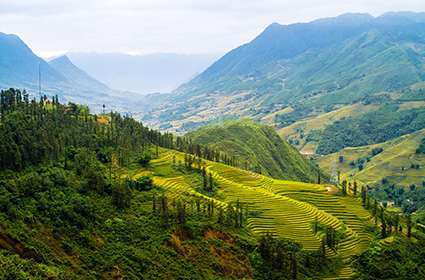 Over eight days you will trek through the mountains and valleys surrounding Sapa encountering local ethnic minorities, drive through the breathtaking landscape of Ha Giang and visit the magnificent Ban Gioc Waterfall that lies on the border between China and Vietnam. The trip winds up in the verdant karst mountains and serene lakes of Ba Be at Mr Linh's homestay. You will be collected from your hotel at 08:30 for the five-hour drive north to Sapa. You will stop for lunch on the way. 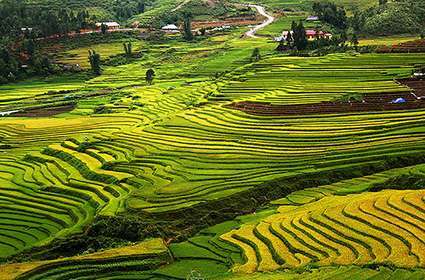 Once in Sapa, you will trek through terraced rice fields from Lao Chai to Ta Van Village which belongs to the Giay ethnic minority community. In the village, you have the opportunity to share cultural experiences with the families that live in the area. You will get back to Sapa town by car, arriving late in the afternoon. 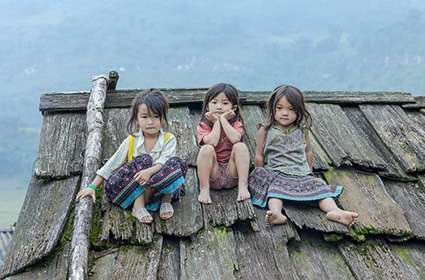 You will stay overnight in a hotel in Sapa. 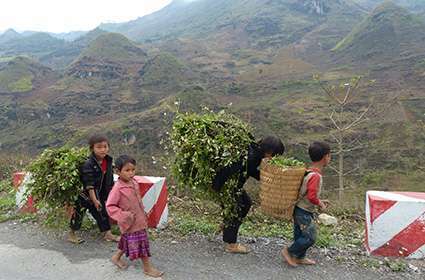 Today, you will trek through the immense scenery to the Red Dzao village of Ta Phin. 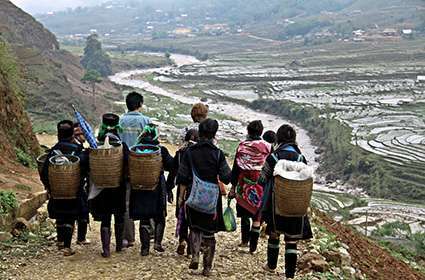 On the way, you will pass through some other small ethnic minority villages where you will discover the unique cultures of the hillside settlements. 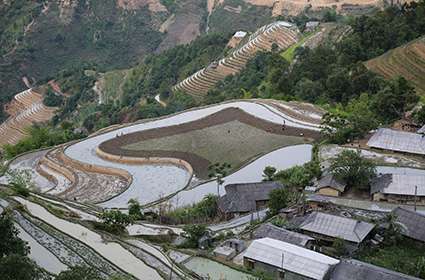 The trek will take you over stunning mountains laced with terraced rice paddies. You will stay overnight in one of the villages at a local homestay. 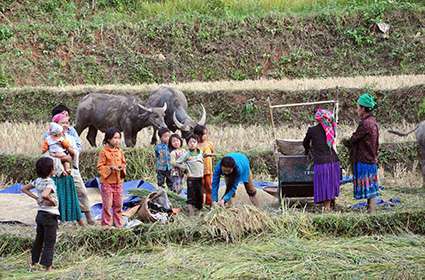 You will travel further into Ha Giang Province on the route from Sapa to Ha Giang, with a stopover for visiting Chang village, Tay ethnic minority community. You will be able to enjoy the beautiful scenery of the mountainous area, with hills covered with palm trees. You will stay overnight in the Ha Giang Resort. After purchasing the mandatory permit at the Immigration Office, you will take the first in a series of spectacular roads which leads to Dong Van. You will stop for lunch in the small mountain town of Tam Son. The countryside here is vast; the towns are scattered throughout the land, and this route does not feature on the usual tourist map. Next, you will travel through the landscape of pine forest and arrive at the astonishing Palace of the H'mong King. You will uncover the fortress which was built by a local chief, Vuong Chin Duc, who was allied with the French against the Viet Minh and evacuated in 1950 (his descendants now live in France and Canada). You will arrive in Dong Van around 18:00 where you will have dinner at a local restaurant and spend the night in a hotel. 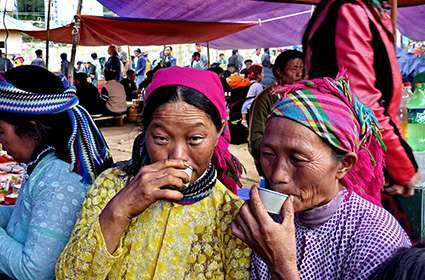 Your day will start with a visit to Dong Van Market where you can see the local people stocking up before heading back to their eagle's nest towns high in the mountains. You will then climb up the pass to the French Fortress of Pu Lo which was built in 1890 and evacuated in 1945. From here you can enjoy spectacular views of the entire region. After you will drive the magnificent Ma Pi Leng Pass, through a gigantic maze of lime peaks, stone forests, and canyons. You will then venture into the valley of Meo Vac, from where you will snake through the mountains and cross the river before arriving in the village of Bao Lac. 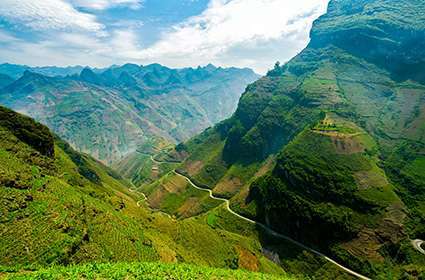 You will stop for lunch and then continue the journey on the mountainous road from Bao Lac to Cao Bang. 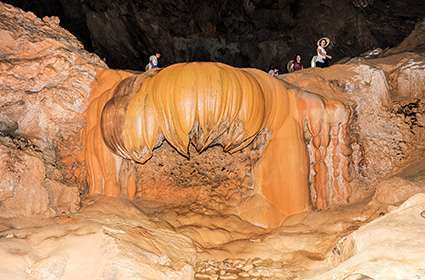 You will have free time to explore Cao Bang where you will spend the night in a hotel. Ban Gioc Waterfall where you can explore and stop for a spot of lunch. This is the closest you can come to the Chinese border which passes right through the middle of the falls and the river. 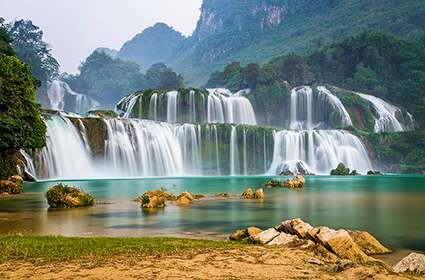 After, you will return to Cao Bang for dinner and stay overnight in a hotel. Today you journey along Ma Phuc Pass on the way to Ba Be National Park. 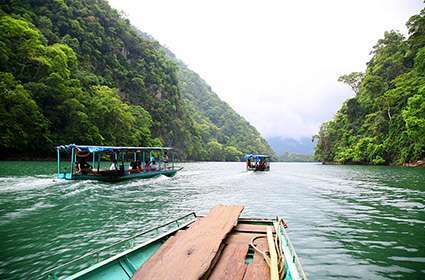 In Ba Be you will take a boat ride along the Nang River, with time to explore Ba Be Lake, the caves of Puong Grotto, the rapids of the Dau Dang waterfall and Widow Island. 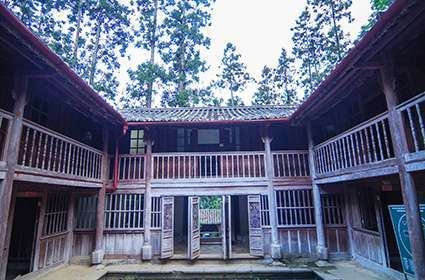 You will also visit the stilt houses of the Tay community in Bo Lu Village, where you will spend the night in a homestay. 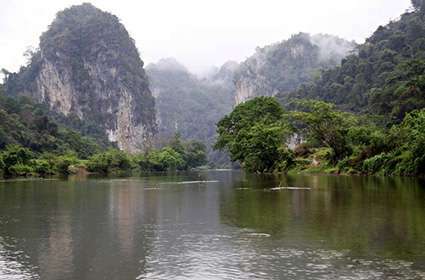 Today you will stroll along the riverfront, with time to visit some lovely villages and hike the upper reaches of the lake, in an area marked by massive limestone cliffs and mountains. 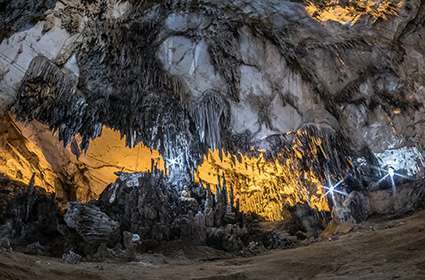 You will also have time for visiting Hua Ma Cave, the biggest dry cave in Northeast Vietnam. You will stop for lunch at a local restaurant before making your way back to Hanoi. The tour will end when you arrive back in Hanoi at approximately 17:00.